Learn about animal-related subjects, including biology, health, nutrition, behaviour and breeding. You’ll also develop practical skills for handling and caring, and gain the knowledge needed to start your career within the animal industry, or for further study. 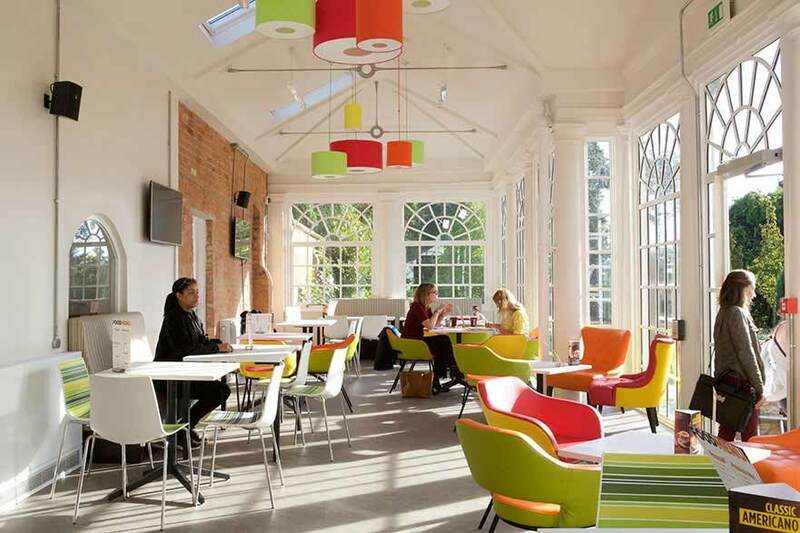 Brackenhurst is set in stunning countryside just a bus ride away from Nottingham city centre. We are part of Nottingham Trent University. We offer college courses alongside our degree courses, all taught by our skilled, experienced and supportive staff. At Brackenhurst, you’ll have access to incredible facilities. 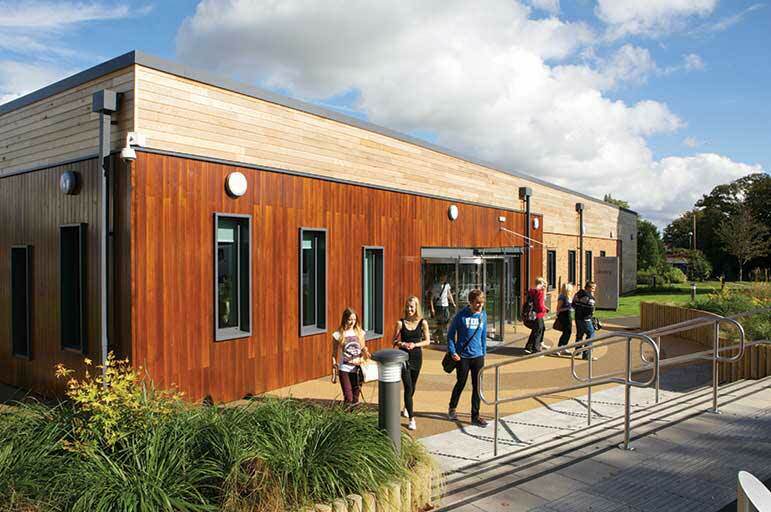 These include an animal unit, equestrian centre, laboratories, library and gardens and fields that are overflowing with plants and wildlife. 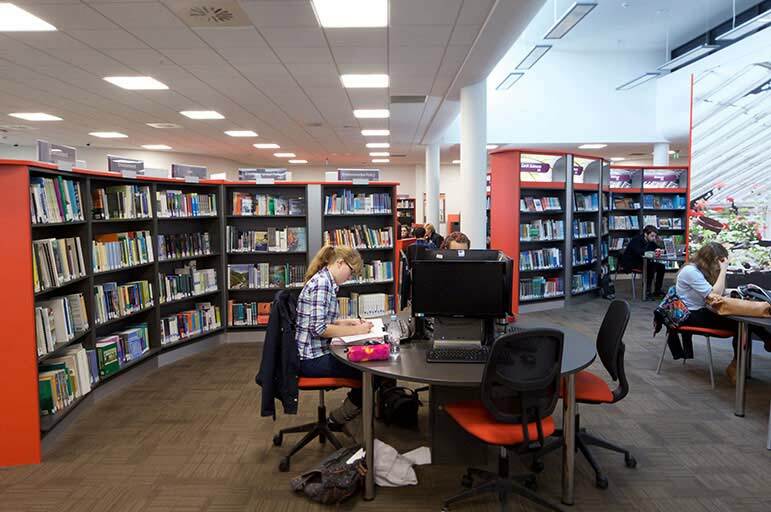 Studying with us means that you’ll be a part of an amazing learning environment. You get all the perks of being part of a big university, but you will still enjoy the comforts of a friendly college. We have limited on-site accommodation available for students studying on this course. Please contact us for more details. Brackenhurst is easy to get to. 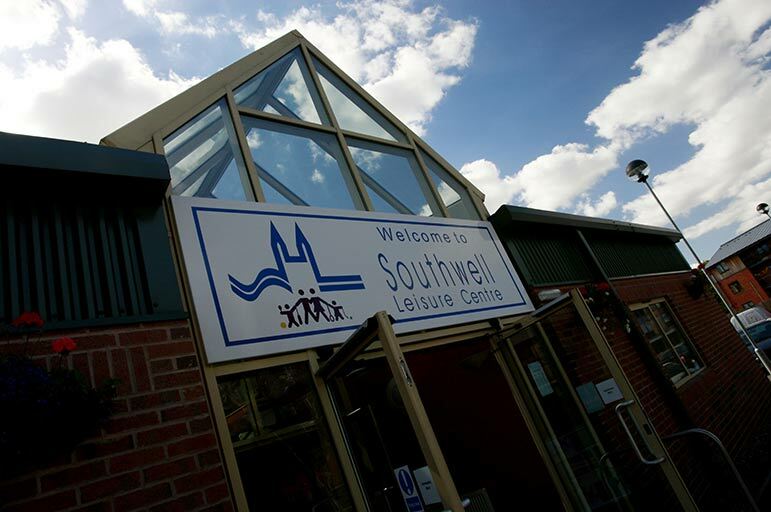 We’re just 14 miles from Nottingham city centre, next to the town of Southwell. Find out more about getting here. You'll take part in practical hands-on lessons and learn about a wide range of animals, using our fantastic facilities. 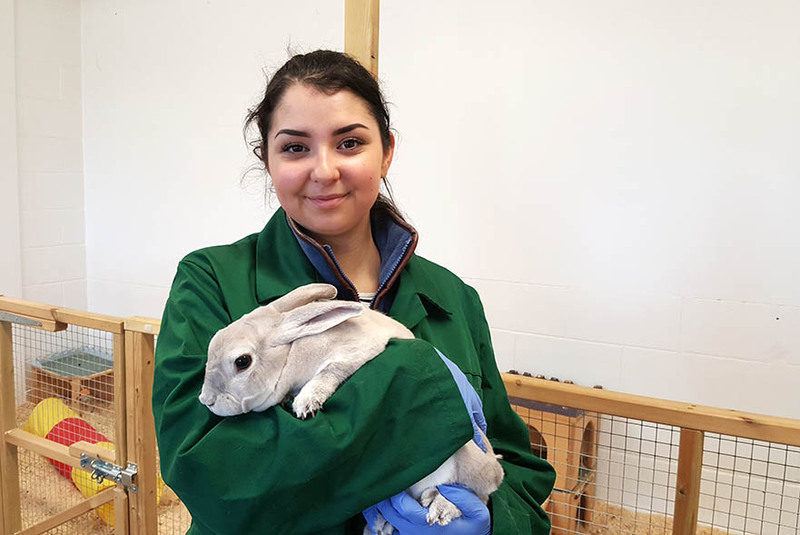 You'll also develop knowledge and skills about animal-related subjects and have the chance to go on trips to different locations to learn about the animal industry. This module will teach you the structure and function of skeletal systems and sensory organs and how these have been adapted to meet the needs of animals living in different environments. Gain an understanding of health and safety and identify how it can be applied in practice within land-based or related industries. Develop an understanding of how animals learn, and then apply this knowledge to develop training programmes with different animals. 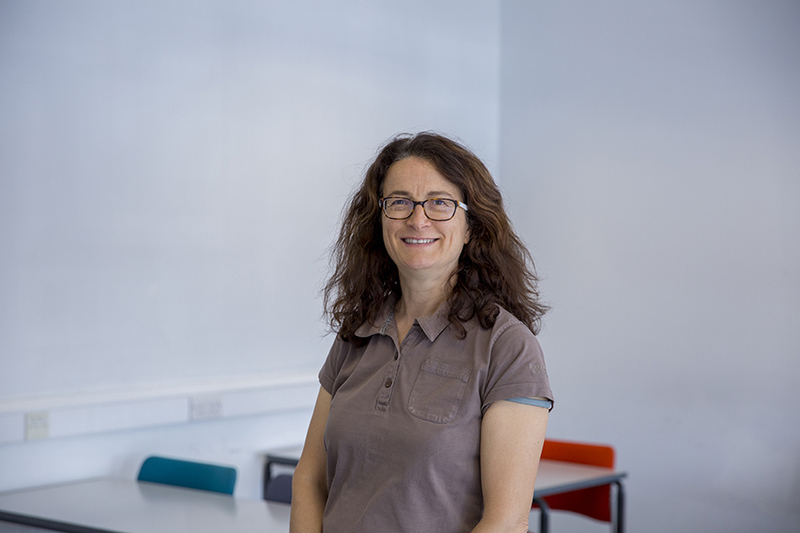 This module will develop your knowledge and skills to work in small animal rehabilitation, including physiotherapy and hydrotherapy, as well as complementary and alternative therapies such as chiropractics, osteopathy, acupuncture and massage. This module will teach you to recognise the signs of good and ill health in animals and to carry out health checks on animals and produce animal health plans. You’ll study the main components of an animal’s diet and understand the requirements of a balanced diet. You’ll also learn about the effects of nutritional disorders and deficiencies. Develop knowledge and skills to interpret animal behaviour and understand the factors which influence such behaviour. Learn about health, welfare, handling, restraint, nutrition and feeding in exotic animals in captivity. Gain an understanding of how animals have evolved and been bred and how they have been trained and tamed to keep as a pet or on a farm. 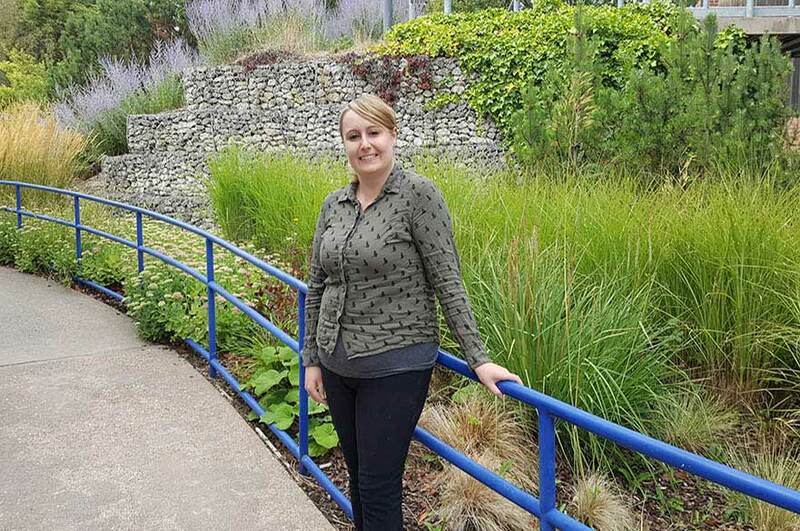 You’ll also develop a working knowledge of animal welfare legislation. Develop important knowledge and skills that relate to employment in the environmental and land-based sector. You’ll be shown what it’s like to work as a veterinary nurse, including applying bandages and setting up an IV drip to care for a sick animal. Learn about the role of the modern zoo and the techniques used to improve the lives of zoo animals, including health and safety. Learn about a variety of subjects related to ecosystems and wildlife while developing the practical skills needed to measure populations and wildlife habitats. You’ll learn about kennel and cattery design and the different practices, procedures and specialist techniques needed within them. You'll also gain an understanding of supervisory or management roles within professional establishments. Learn about estate skills and gain knowledge of how these are used in the real world. You’ll develop skills to construct, repair and maintain boundaries, structures and surfaces. In this module, you’ll learn about the businesses within the land based sector, the role and responsibilities of those employed in land-based businesses and resource requirements. Gain an understanding of how pet stores are designed and managed. Find out about the caring and feeding requirements of animals being sold. Learn about stock control, marketing and good customer services. Learn to identify the career and employment opportunities within the animal care industry. Gain an understanding of what is involved in becoming self-employed with a focus on dog walking and pet sitting. You will develop project management skills by investigating a chosen topic of interest, which is relevant to your career aspirations. Learn how to plan and carry out the project, including working to meet deadlines and finishing with an evaluation report. You’ll learn in our fantastic facilities and be taught by tutors who have real-life experience of working within the animal industry. You can expect the course to be split so that approximately 30% is practical work and 70% is theory work. You’ll be taught through lectures, group discussions and practical demonstrations. You’ll also get to go on trips to different locations, including Crufts Dog Show at the National Exhibition Centre, Twycross Zoo and Yorkshire Wildlife Park. The course includes a work placement. 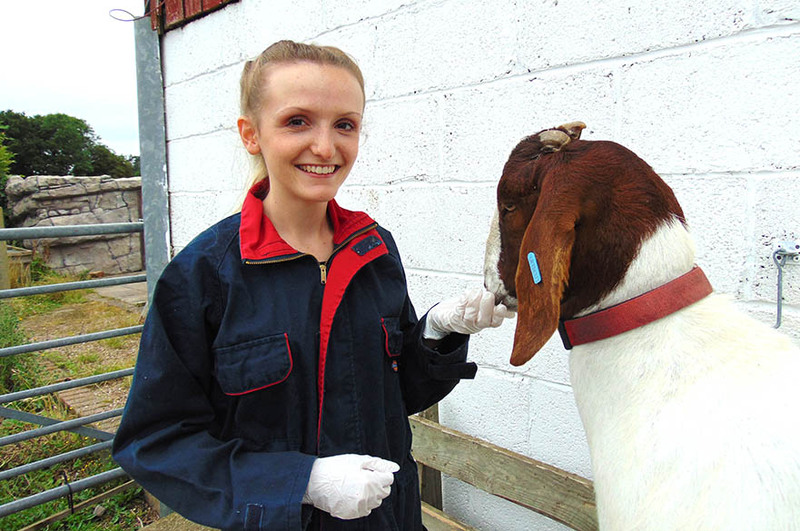 This allows you to develop your skills and knowledge in the animal industry, and looks good to future employers. You can work at places like Cats Protection, Twycross Zoo, RSPCA, Nottinghamshire Wildlife Trust, Stonebridge City Farm and more. You’ll be assessed through a portfolio of evidence and external written assignments, practical assessments and exams. After completing this course there are a number of options and routes that you can take. You could choose to continue your studies and go onto a higher education course or pursue a career in an animal-related industry. 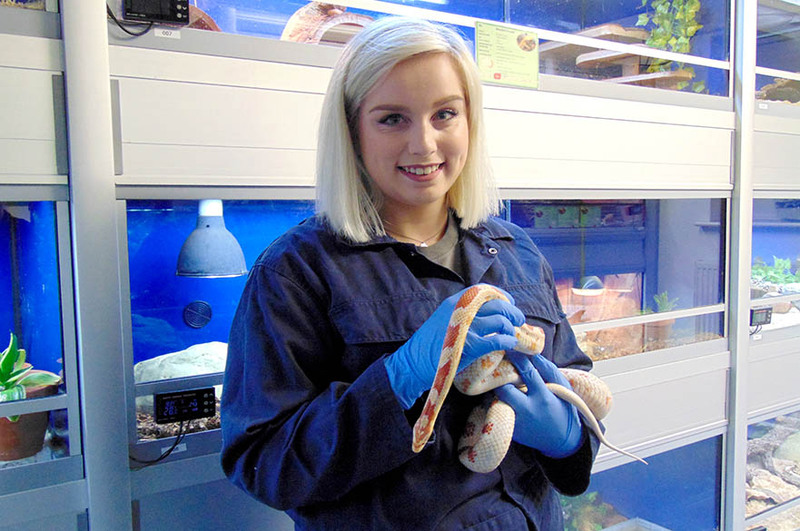 Our animal courses have great progression routes to further study. 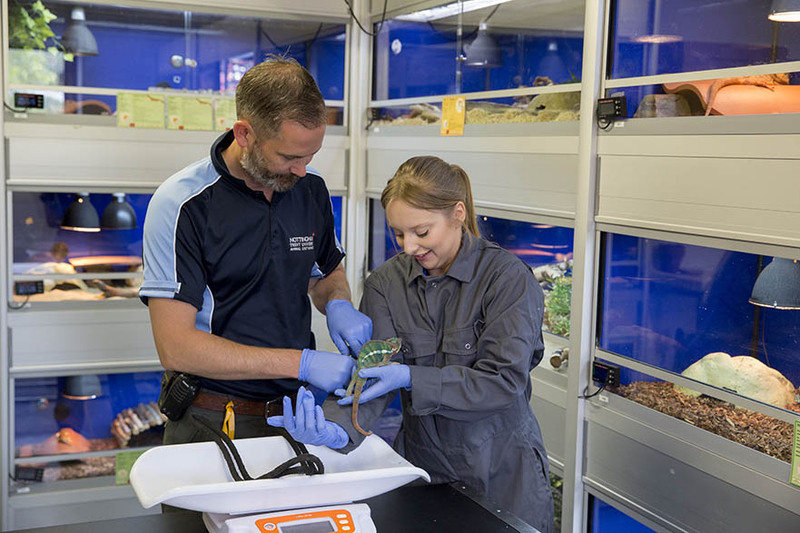 You can even study one of NTU’s degrees right here at Brackenhurst, including FdSc Animal Science, FdSc Veterinary Nursing, BSc (Hons) Animal Biology or BSc (Hons) Zoo Biology. Work placements are a great way to broaden your knowledge and skills. You will have the opportunity the take part in work experience in a range of different animal related sectors. Study an animal course at Brackenhurst and you’ll have access to some fantastic facilities. 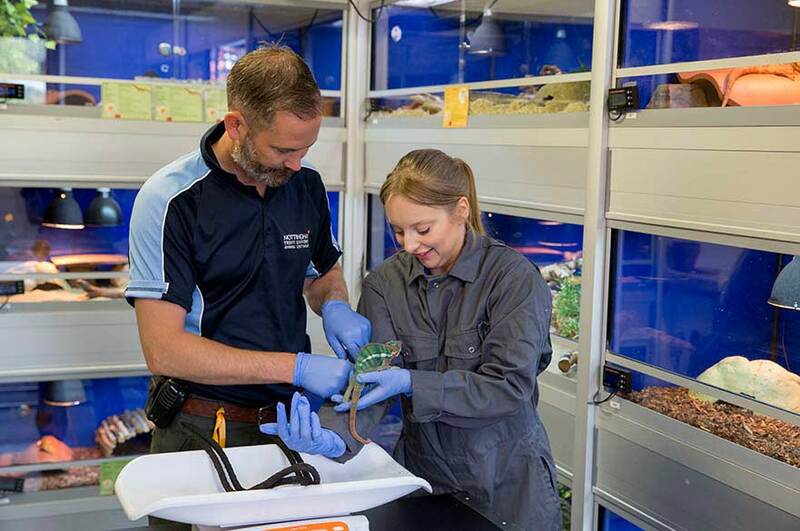 Our specially designed Animal Unit is home to over 150 animals from around 40 different species. These include small animals such as rabbits, cats, dogs, reptiles and birds, as well as larger animals like goats and donkeys. All our animal courses include hands-on, practical lessons at the unit. You’ll also help our technicians to care for the animals on a day-to-day basis. Five GCSEs including English Language, Maths and Science at grade 4 / C or above. Equivalent qualifications will be considered. You will also be required to attend an interview. Applications are welcome from mature and international students. If you need any more help or information, please email our FE Team or call on +44 (0)115 848 5299. 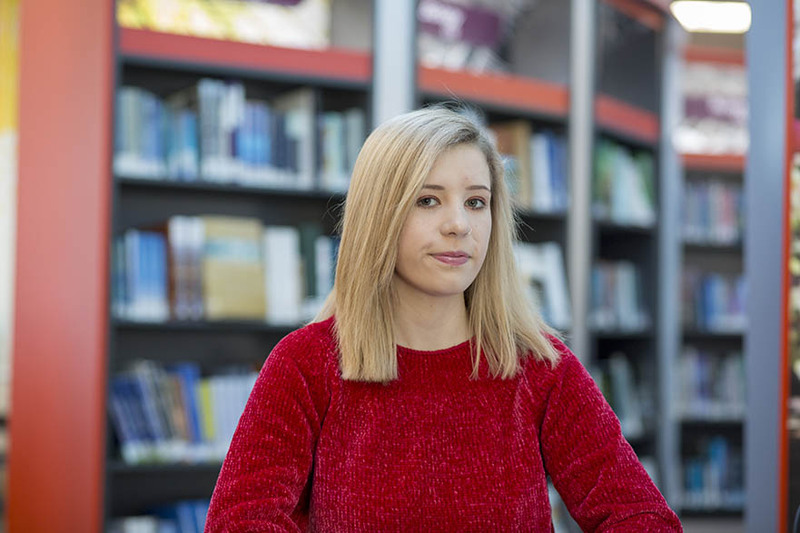 We welcome applications from international students. Please email our FE Team or call on +44 (0)115 848 5299 to discuss how your qualifications match our course requirements. Applying is really easy. Follow our step-by-step guide below. Download an application form. Remember to show your passion for your chosen subject in your personal statement. Provide contact details for two referees - usually one teacher from your current School or College and one character reference which could refer to any volunteering, work experience or hobbies you may have (i.e. Sea Scouts, sports clubs etc.). Alternatively, this can be a long standing family friend or neighbour. If you meet the criteria for the course, we’ll invite you in for an interview. We’ll send you details of what will happen on the day in advance through the post. Don’t panic! Our tutors are really friendly and will help you to do your best. We’ll write to you and let you know how you got on at the interview. Hopefully we’ll be able to offer you a place on the course. This offer might be conditional on your upcoming exam results – for example GCSEs. You need to tell us that you want to accept your offer of a place by returning your confirmation slip to us or by calling us on 0115 848 5299. If you’re taking GCSEs, you’ll get your results on Thursday 22 August 2019. Other exam results will also come out over the summer. Once you’ve got your results you need to let us know what they are. Then we can confirm your place. We’ll send out all the information you need to start with us in the post at the end of August. We hold an enrolment day in the first week of September. This allows you to get your student ID and start meeting your new friends and tutors. Just drop us a line – we’re here to help every step of the way. You can email us at fe.enquiries@ntu.ac.uk or give us a call on 0115 848 5299. Please email our FE Team or call on +44 (0)115 848 5299 for more information on how to apply. Please visit fees and funding information for more information. Please email our FE Team or call on +44 (0)115 848 5299 for more information on fees and funding.